Join us this Halloween half-term as we transform Laser Quest into a spooky scaretastic adventure! Imagine battleing hordes of Zombies with a laser blaster... Sounds epic - hey? Well nows your chance! Fright night sessions last 3 hours, during this time you'll play a whole host of new nightmarish games featuring live actors and special effects. Will you survive and go onto save the day? Show us what your made of and book your space, if you dare?! 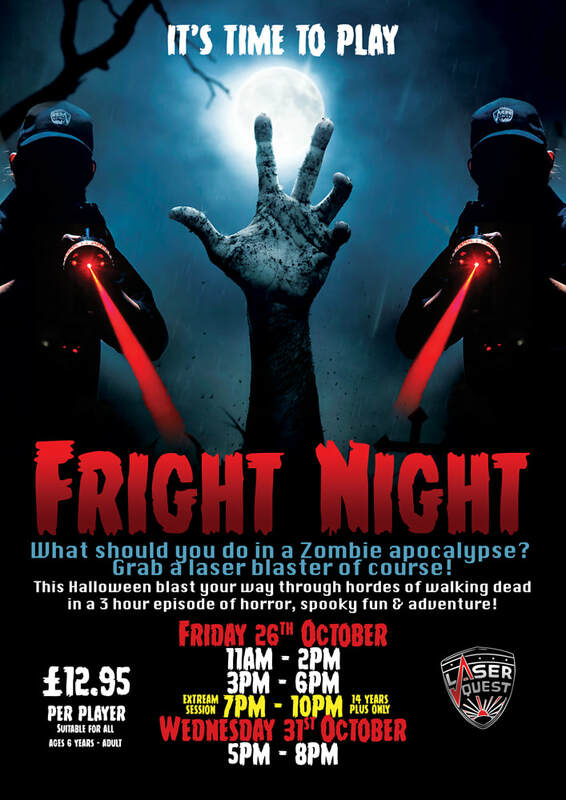 Fright Night is suitable for all ages 6 years - adult, the extreme 7pm session is purely for the very brave teenagers & adults! ​Includes - Unlimited soft drinks and a Halloween bag full of treats!